Non-art majors are taught fundamental concepts for techniques in painting and drawing. This semester long course begins with drawing until midterms, then delves into oil painting. Students are taught to control medium with special attention to Value, Color, Form, and Proportions. This course expands visual thinking, strengthens student portfolio, and teaches basic concepts of painting. In this one week intensive program, students are given two projects that observe people, objects, or places. Using Acrylic paint as their medium students pay special attention to Value, Color, Form, and Proportions. 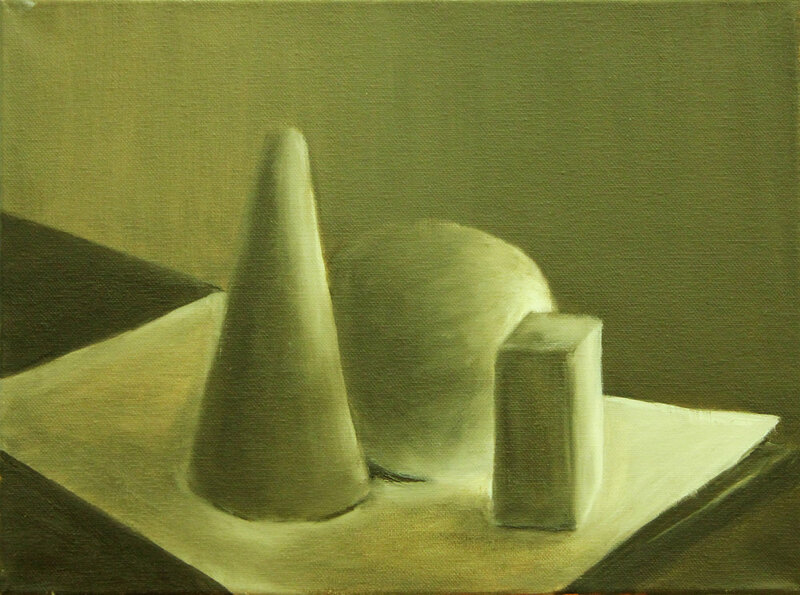 Students are directed to paint basic forms using raw umber and white. To create forms, students are asked to observe how light is being scattered on objects which includes full value range. Students are directed to fabric using raw umber and white. To create folds in fabric, students are asked to observe how light is being scattered on fabric which includes a full value range. Students are asked to choose an one or two objects to paint for the day. Students are taught subtractive color mixing to get full range of warm and cool tones. Students are asked to choose a master to study. This allows students to practice color mixing while noting the imperative relationship between color and value. Students are also asked to pay attention to how the artist designed their composition. Students are asked to paint a self portrait holding an object. Students can use object to compare size and proportions to facial structures and/or anatomy. Students are given the option to paint a familiar place. Using their own photography students can choose an image that creates a sense of space. Special attention is placed on value, perspective, and overlap.